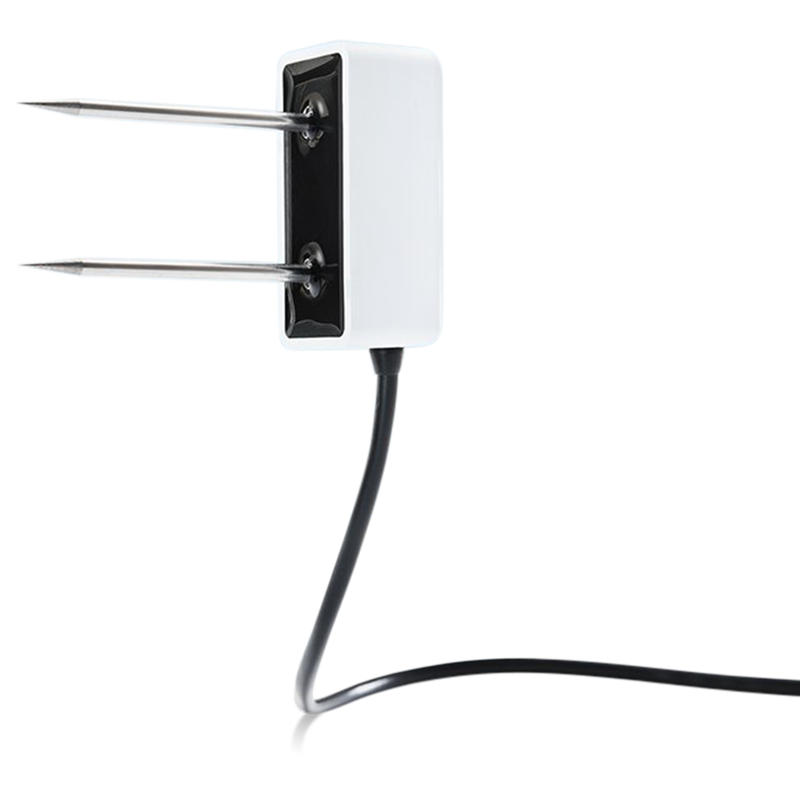 The GS1 is a ruggedized version of of the METER GROUP basic soil moisture sensor. It accurately measures volumetric water content in soil or soilless media. It distinguishes itself by longer lifetime, better soil-sensor contact and easier installation. Accuracy Using a generic calibration: ± 0.03 m³/m³ (± 3% VWC) typical in mineral soils that have solution electrical conductivity < 10 dS/m. Cable length Sensors come standard with 5 m cable. Custom cable lengths available. Maximum cable length of 75 m.